Wild Turkey Farm proudly offers the following in-utero foals for sale. All foals come with live, healthy-foal guarantees. These foals are priced at $15,000 (*prices are subject to change), and the price includes registration (Oldenburg GOV), board, and routine care through weaning. Some mares are available to purchase in-foal. Please inquire for more details. Coruscant x Catoki x Cassini I – Coruscant was purchased in 2013 at the Holsteiner Verband Annual Stallion Approval where he was awarded Reserve Champion. His sire Connor is by Casall Ask. His dam is state premium mare Zommutige (by Cristo). Dam is Darvinia (Catoki x Cassini 1), a State Premium daughter from the 1.60m stallion Catoki (by Cambridge). Darvinia scored 52 bonits at her approvals in Germany. 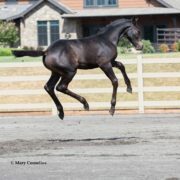 She has produced two foals at Wild Turkey Farm, Invictus (Imothep) and WT Caden (Cascadello), a premium foal. Conte Della Caccia x Casall x Cayado – Conte Della Caccia is an international jumping stallion by Canturo. Dam is Felina is (Casall x Cayado), who was imported into the States. She was awarded 49 bonits. This will be her first foal. Calito x Cormint x Caretino – Calito is by the international stallion Calido. Calito won the free jumping portion of his 70-day test. Dam is Fallyn (Cormint x Caretino), who was imported into the US as a weanling and scored 51 bonits and is in the MMPS book. 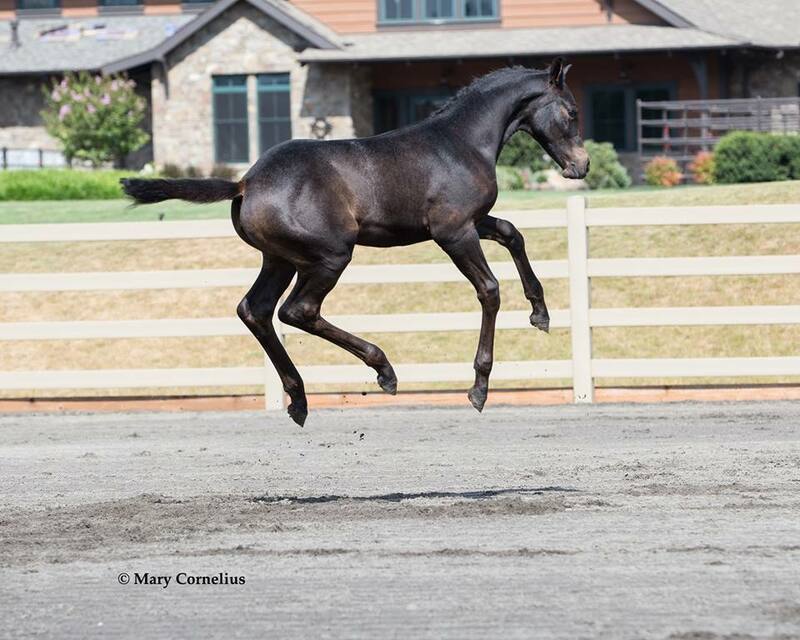 She has one offspring, WT Coolio, a 2018 colt by Conte Della Caccia. Untouchable x Quinar x Capital – Untouchable has competed with several riders at the highest level in show jumping. He has successfully competed in international classes with placings in the prestigious Global Champions Tour. Dam is WT Eclipse (Quinar x Capital ), who is out of the two-time FEI World Cup Final mare Summer. Eclipse has one foal on the ground, WT Zydeco Blue—a stallion prospect by Zirocco Blue. LioCalyon x Calato x Nimmerdor – LioCalyon by the stallion Liostro competed successfully in show jumping. He has sired numerous offspring include two Olympic horses, Dunstan Delphi and Peterbilt. Dam is Venus (Calato x Nimmerdor), who has has produced several nice foals: WT Lawless (LioCalyon, 2014), WT Dionsysus (Diarado 2016), Valkeryie (2018 Ace).